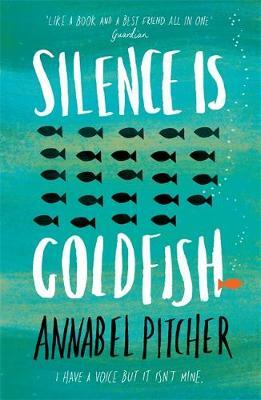 Winner of the 2012 Branford Boase Award for an outstanding debut novel. 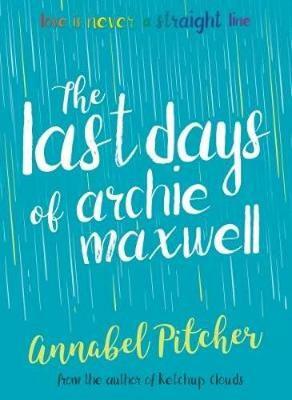 The Branford Boase judges said: A very accomplished piece of writing by an author with a clear talent. The descriptions of the way the father handled his daughter’s death and a small child’s reaction to this are very well handled. Heartbreaking and funny in equal measure, 10-year-old Jamie's direct and wide-eyed account of the emotional chaos he and his family live through following the death of his sister in a terrorist attack is poignant and warm-hearted. Beginning a new life in the Lake District with his older sister and his father, who mourns his daughter through alcohol and a wild rage against her killers, Jamie knows he should feel sadder than he does. The truth is, he can hardly remember his sister; and what is happening with his new school and new friends, especially Sunya, is more urgent – as is his yearning for his absent mother. Emotionally charged, this is a wonderfully touching story which never slips into worthiness. Shortlisted for the 2012 Carnegie Medal. Shortlisted for the Galaxy Children's Book of the Year Award 2011. In addition to our Lovereading expert opinion abovefor My Sister Lives on the Mantelpiece we have a number of reviews from Lovereading members....scroll down this page to see what they think. Heartbreaking and funny in equal measure, 10-year-old Jamie's direct and wide-eyed account of the emotional chaos he and his family live through following the death of his sister in a terrorist attack is poignant and warm-hearted. forward to reading her next book.' - Chloe Sheehan - Click here to read the full review. 'My Sister Lives on the Mantelpiece is the heart-wrenching story of Jamie, a boy living in the aftermath of 7/7. Honest, funny, and beautifully written, this could easily become a classic.' - Rachel Bourn - Click here to read the full review. 'This book will make you laugh and it will make you cry, but most of all it will win your heart and send your mind on a meander of thought long after you have turned the final page.' - Josh Travers - Click here to read the full review. 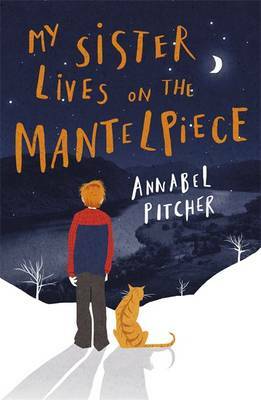 'Annabel Pitcher has truly captured very emotional issues and has turned it into a heart warming story, that all ages could enjoy.' - Jhaneel - Click here to read the full review. 'This book is guaranteed to make you think, and is a truly great read for anyone looking for a new, unique take on the idea of an ordinary family losing a treasured member. This story will captivate you from start to finish...' - Morgan Steigmann Aged 13 - Click here to read the full review. I loved this book; it seemed so real… Anyone one with a warm heart and a smile can read this book. Izzy Read - Click here to read the full review. My sister lives on the mantelpiece is the heart-wrenching story … a touching reminder of grief, and how the young tackle it. 4 stars. Georgina, aged 15 - Click here to read the full review. I was astounded by the gritty and realistic honesty. Christie Heaven - Click here to read the full review. The way this book was written as a child's point of view was outstanding! Shriya Samani - Click here to read the full review. This is a story with a beautiful, honest narrative which will grab you by the hand. Roshana Wickremasinghe - Click here to read the full review. It is truthful and at times both shocking and sad. Sheila Burke - Click here to read the full review. Readers are given every side of the story, which provides a unique perspective on tragic events. Kalilah K - Click here to read the full review. I really like this book. It deals with a lot of serious issues really well. Harriet Cunningham - Click here to read the full review. be warned, it is a real tear-jerker. I cried reading this book, you probably will too. Emer O'Brien - Click here to read the full review. I thought that this book was brilliant! I really enjoyed reading it. Molly Hudson Age 10 - Click here to read the full review. a harsh, truthful, beautiful, tearful, hilarious, heart-warming tale. Seren Mehmet - Click here to read the full review. A book I'll never forget. It shows that no matter how bad life gets, there will always be hope some where. Hollie Compton, 14 Click here to read the full review. I really liked the fact that it was written from a ten year old’s perspective. A touching novel I would give this book ten out of ten. Ryan McGuckian age 13 St. Colm’s High School, Draperstown Northern Ireland Click here to read the full review. The Carnegie Judges said: With a great central character, a sophisticated plot and an ending that is both credible and hopeful, this is a book that avoids the "issues trap" to stay with you long after you finish it. The observations of the 10 year old narrator are extremely well-captured, as is his growing friendship with Surya, and the way in which prejudice is broken down on both sides. 'I loved every second of it.. That is what is so wonderful about the book – you feel everything [Jamie] feels, because it is narrated with the same simplicity and confusion that he himself would have gone through.' Fanus Fibreab, 14, one of the winners of the Guardian Young Critics' Prize 2011.
click here to read addtional reviews.